The Scarlet Letter by Nathaniel Hawthorne tells the story of Hester Prynne, who conceives a daughter out of wedlock and struggles to create a new life of repentance and dignity in her small Puritan community. The Scarlet Letter by Nathaniel Hawthorne tells the story of Hester Prynne, who conceives a daughter out of wedlock and struggles to create a new life of repentance and dignity in her small Puritan community. In The Scarlet Letter Student Book, students are guided to read and think through the grammar, logic, and rhetoric stages towards the essence of a story: the central proposition that gives the story its ultimate meaning and expression. The Scarlet Letter by Nathaniel Hawthorne tells the story of Hester Prynne, who conceives a daughter out of wedlock and struggles to create a new life of repentance and dignity in her small Puritan community. 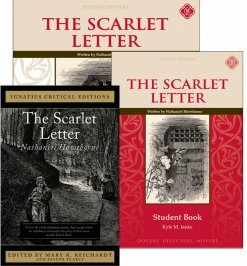 To better assist students in understanding the text, the Scarlet Letter Teacher Guide provides all answers to questions in the Scarlet Letter Student Book (sold separately) and all test and quizzes (downloadable). Though a staple in high school English classes, Julius Caesar is not a simple play. Seemingly irreconcilable forces are at work: fate and free will, the changeableness and stubbornness of ambitious men, the demands of public service and the desire for private gain. Drawn from history as recorded by Plutarch, the major characters - Caesar, Brutus, Cassius, and Mark Antony - are complex, as are the twists and turns of their fortunes. What kind of man rises to power? What price does he pay when he becomes a politician? These questions raised by Shakespeare are relevant in every age, whether ancient Rome, Elizabethan England, or even our own day. 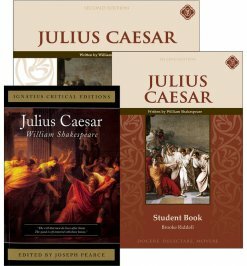 Shakespeare's Julius Caesar is a tragedy based on the historical events surrounding the death of Caesar, exploring the motivations of the men who orchestrated it and surrounded him in public and political life. The Student Guide includes Reading Notes, Vocabulary, Comprehension Questions, Socratic Discussion Questions, and Essay Prompts. The Teacher Guide includes the inset student guide with answers, guides for Socratic Discussion Questions, and Quizzes and Quiz Keys. To Kill a Mockingbird is a gripping, heart-wrenching, and wholly remarkable tale of coming-of-age in a South poisoned by virulent prejudice, it views a world of great beauty and savage inequities through the eyes of a young girl, as her father—a crusading local lawyer—risks everything to defend a black man unjustly accused of a terrible crime. Winner of the Pulitzer Prize, Harper Lees's To Kill A Mockingbird is a masterwork of honor and injustice in the deep South—and the heroism of one man in the face of blind and violent hatred. 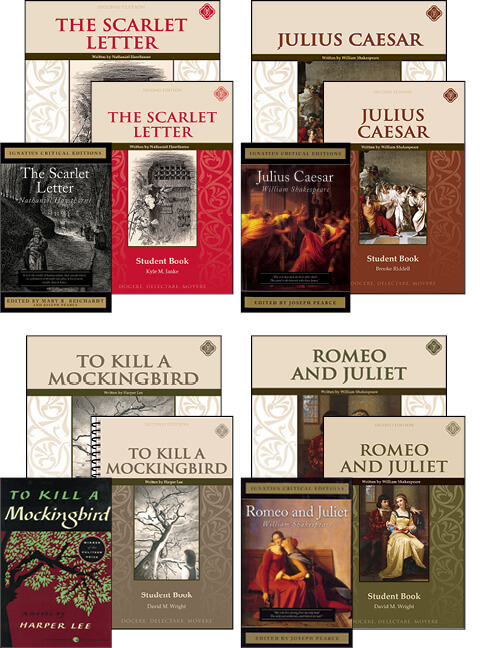 The Student Study Guides feature helpful reading notes, extensive vocabulary training, comprehension questions, Socratic discussion questions, work with quotes, and literary and rhetorical devices presented in bold to prepare students for sophisticated literary analysis and/or future work in AP Literature and college classes. 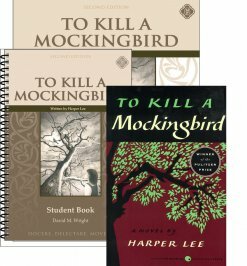 To better assist your student, To Kill A Mockingbird Teacher Guide provides all answers to questions in the Student Study Guide (sold separately) and all test and quizzes (downloadable). 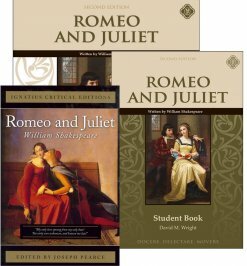 Romeo and Juliet: the greatest love story? Our postmodern age revels in the passion and romance of the young lovers, but perhaps we overlook crucial subtleties in the text. This study guide seeks to exercise your reading, writing, and thinking, and to illumine your understanding—helping you explore and determine where the actual tragedy lies. 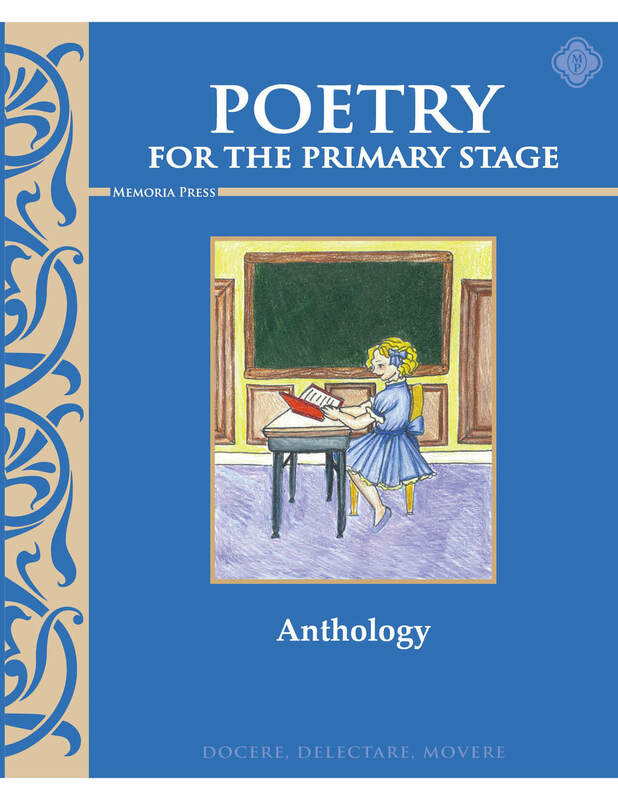 The literature study guides continue in the tradition of training students to read actively, but have been expanded and developed to lead students through a four-stage Trivium based continuum to the acquisition and expression of the Central One Idea of a story or poem. 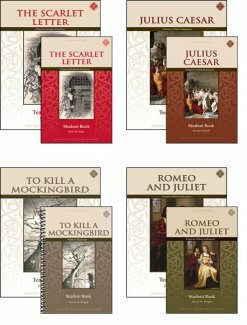 The students are guided to read and think through the grammar, logic, and rhetoric stages towards the essence of a story: the central proposition that gives the story its ultimate meaning and expression. 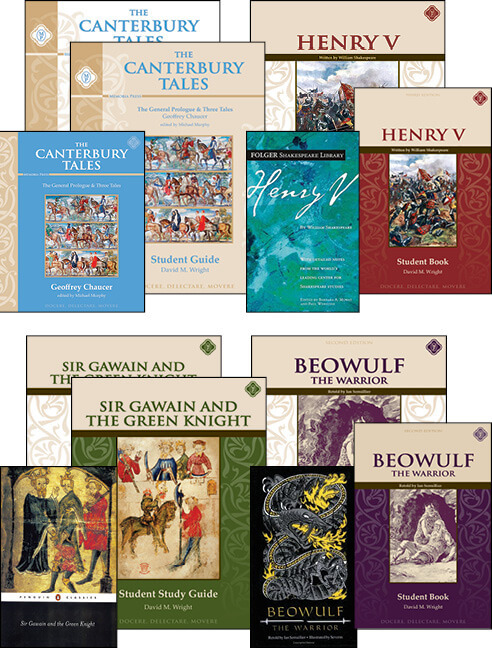 Need Lesson Plans for Tenth Grade Literature?